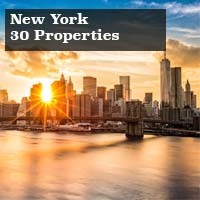 Need to get away from the computer screen, the endless calls, or maybe the current political climate? Maybe a night under the stars, dining by candlelight and the cooling ocean breeze is just what you need to reconnect or disconnect from the outside world. Here is our list of some of our favorite escapes that will get you feeling relaxed, recharged and reconnected with nature. 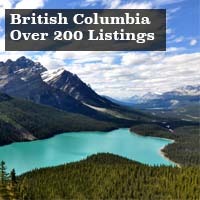 Are list includes properties picked for their connection with nature and lack of necessities from the outside world. They are all either run completely from green power sources or frankly just don’t have any at all. Madeira Island is a unique European gem situated 250 miles off North Africa. With a mild year round temperature and easy departures from Europe it is a great escape from the bustling cities of Europe. 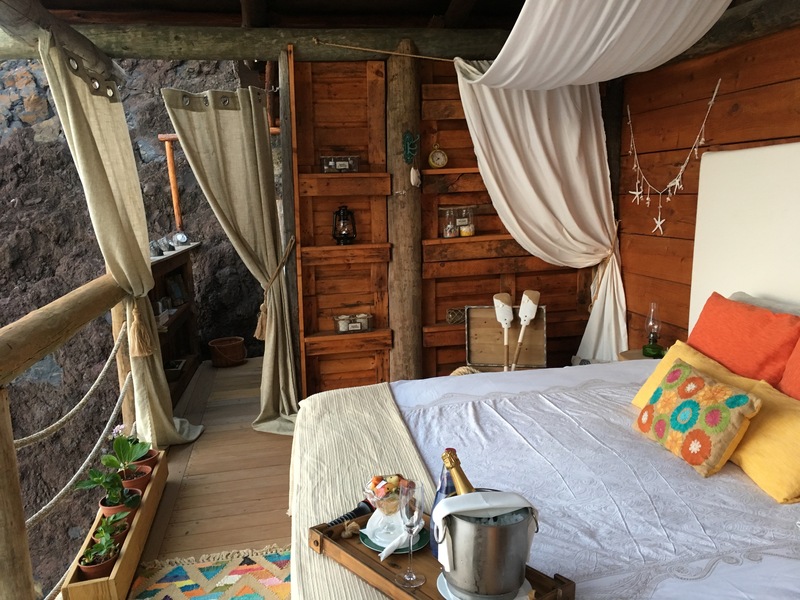 For a truly unique experience on the Southern side of Madeira book a night’s stay at Galo Resorts Glamping hut. The luxurious electricity free hut is illuminated by the nights stars. 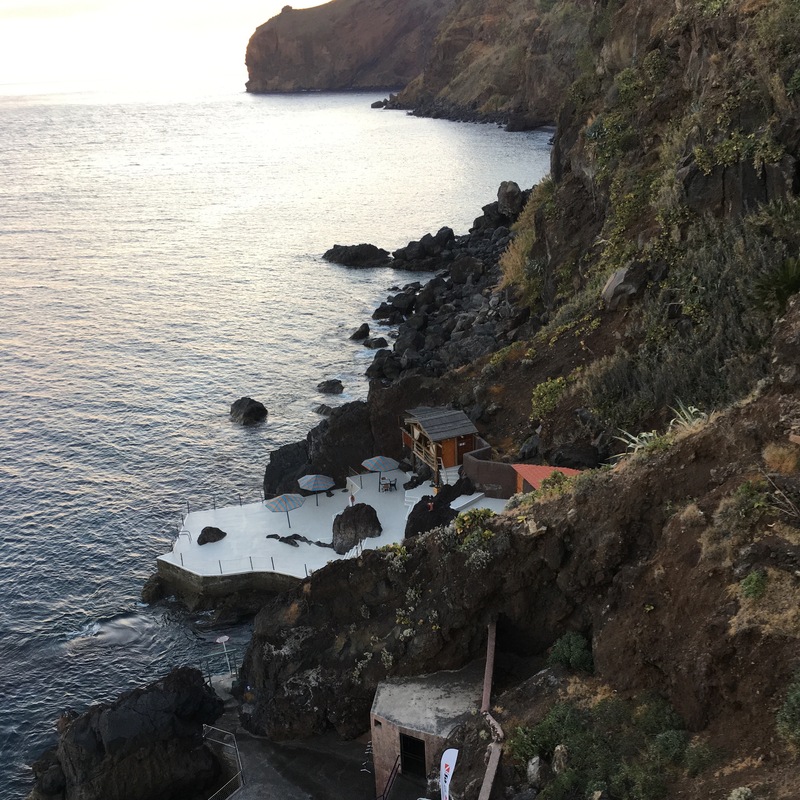 Located on its own section of deck along the ocean and set at the bottom of the cliffside it will be a truly unique and relaxing experience. Have a romantic dinner at the Atlantis Restaurant just steps from your hut while you stare out over the ocean. Try the espada with banana, this light white fish is cooked and served with cooked banana and other fruit. The delicious sweet taste and melt in your mouth fresh fish will be quite a treat after a day of exploring the island. After dinner sip champagne at your private deck while you catch the sunrise. With no electricity you can spend the evening looking at the stars by candlelight, and listen to the waves crashing to rock you to sleep. Wake up to a private breakfast on the ocean as the sun comes up. 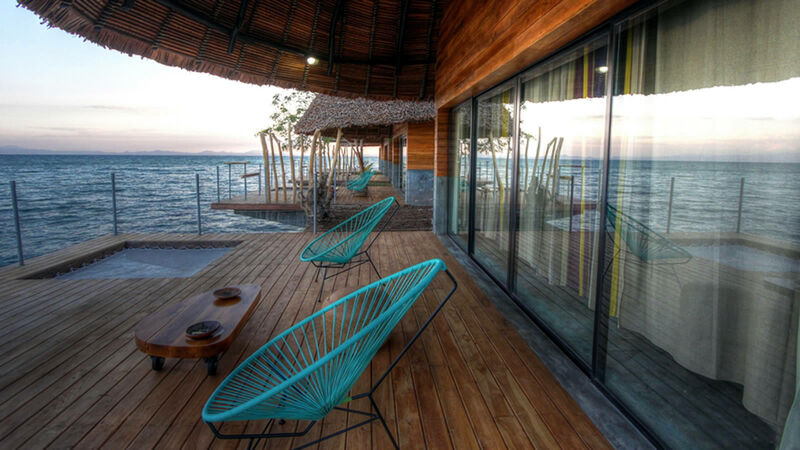 After that you can take a dip at your private swim deck or head to a morning yoga or scuba diving session. Galo resorts has three properties all in a close vicinity the Galomar a 3 star resort, Galosol a 4 star hotel and the Alpino Atlantico which combines Ayurveda programs into your stay. They heat all their water with solar panels which you can see near the pool. They also donate 10 meals a day to the disadvantaged and have many water, waste and energy reducing measurements throughout the property. At the off grid River Kwai Jungle Rafts you will feel like you are on a private sailboat with the swift river drifting by at your feet. 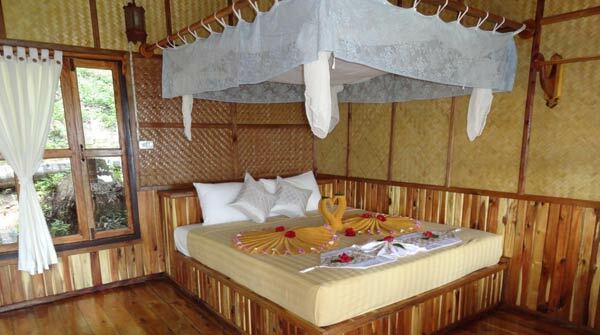 Your floating hut is made of bamboo, surrounded by the majestic mountains the heat of the jungle will far away. 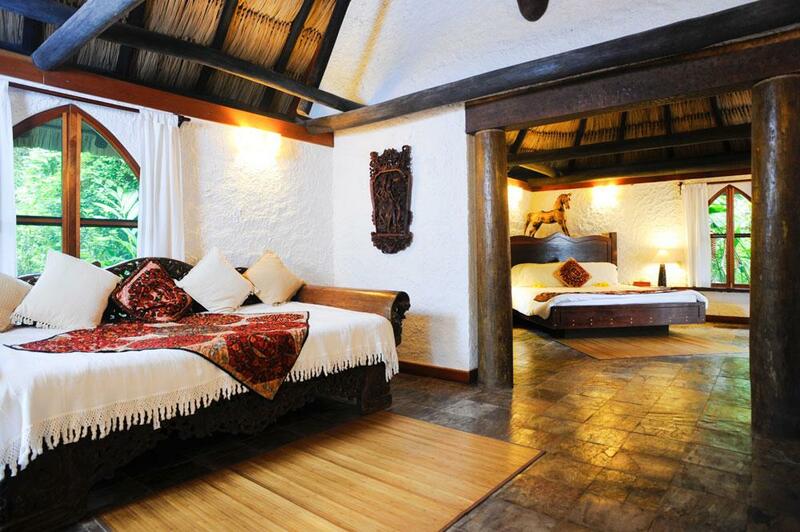 Relax in your room cooled by cold river water and with no electronics you can just listen to the sounds of the jungle. Rafts are made from dead trees found in the forest so nothing is cut down or wasted in building this floating escape. 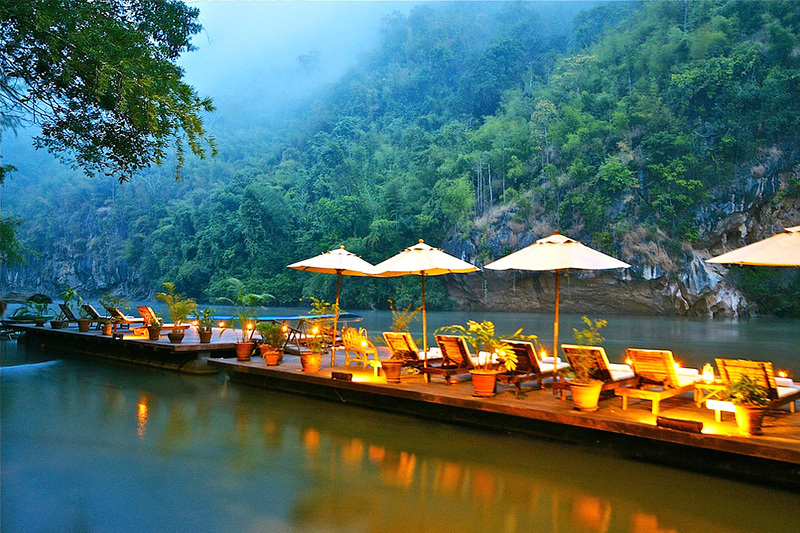 You can eat right along the river, enjoying locally farmed organic dishes with Thai flavors. 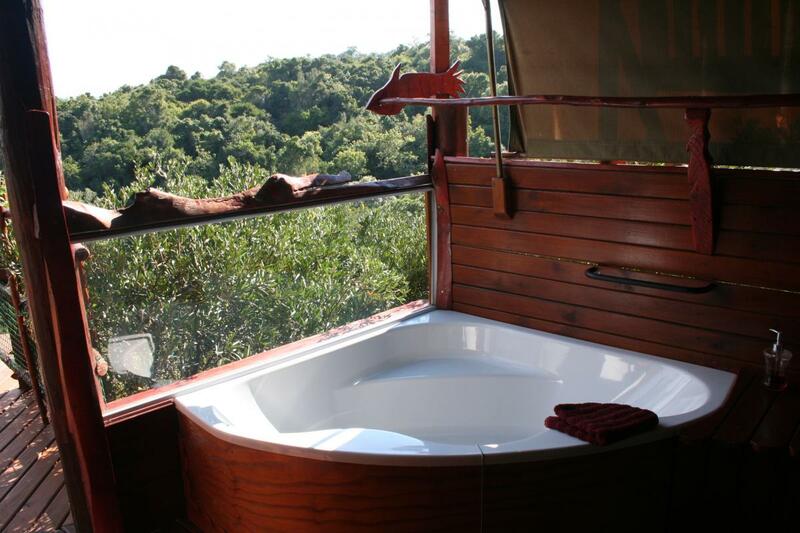 After lunch or a candlelight dinner swim straight from your room, bob along in the river or go on a kayaking trip. The hotel supports the local community by providing buildings including a cultural temple, school and playground. They also provide drinking water, waste management and help them fix houses and eradicate malaria. The hotel also raises and cares for elephants that you can feed and play with during the day. They don’t believe in using bull hooks and also save animals from slaughterhouses. Situated minutes from Ko Phi Phi viewpoint on the island of Ko Phi Phi Don this rustic resort is located beachside and will have you feeling like you are sleeping in the sea. 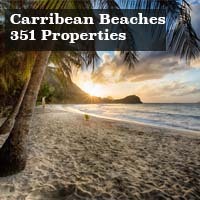 As one of the world’s most beautiful islands you will be sure to enjoy your stay. Accessible only by boat or 60-minute nature walk you will certainly feel like you have your own beachside hideaway. 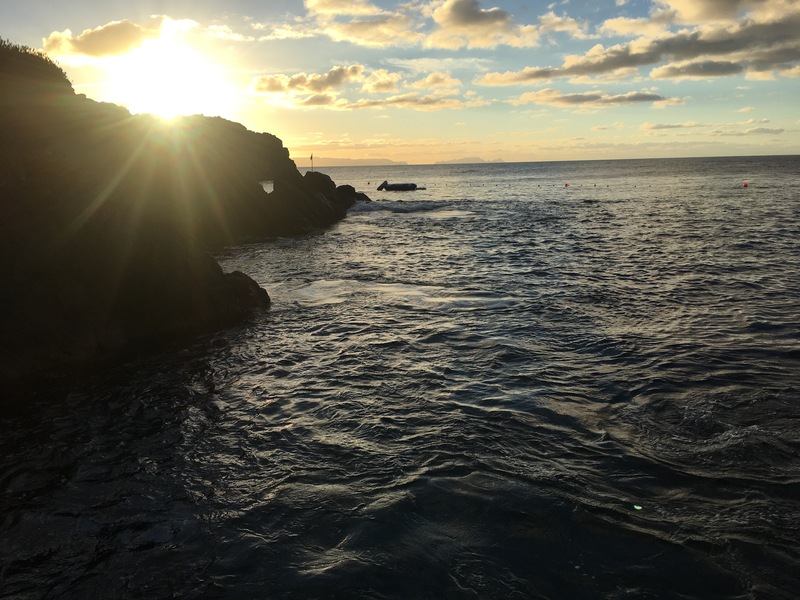 To save on energy output they only have electricity at night, and considering you will be out swimming in the warm waters of the ocean all day we don’t think you will mind. If you like seafood make sure you try some of their fresh fish at the beachside restaurant. 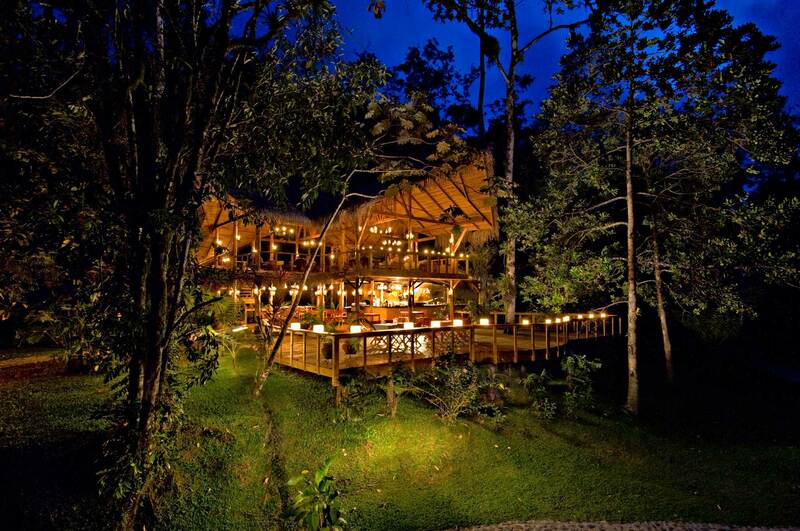 Pacuare Jungle Lodge is tucked within the 25,000 acres of pristine protected Costa Rican rain forest. On the banks of the Pacuare River.As a premier white water rafting destination your fun will begin before you even reach the resort as you are whisked away on a guided raft to reach its location.Enjoy your days taking jungle hikes, canopy tours, canyoneering looking for jaguars or bathing in a waterfall.After long days of exploration, you can relax with a riverside massage or evening listening to the many birds of the jungle.Enjoy delightful regional fare at a candlelight dinner on the river bank or perched up in the rainforest canopy. 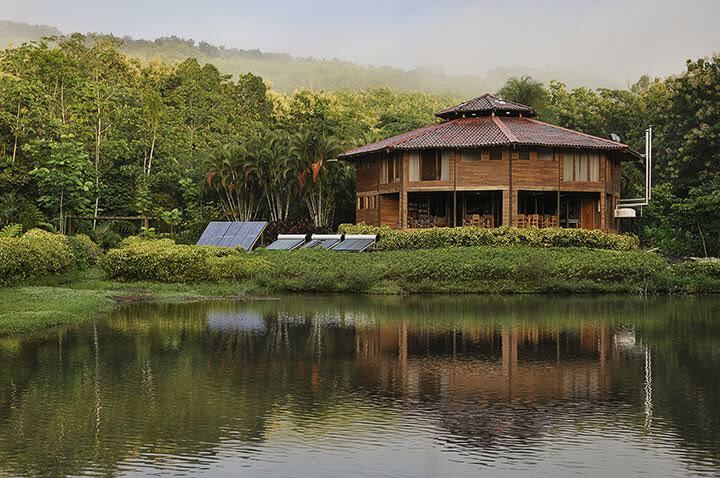 Pacuare Lodge was built with minimal environmental impact and uses no electricity in the bungalows. It was also on the National Geographic Traveler’s Worlds best list in 2013. 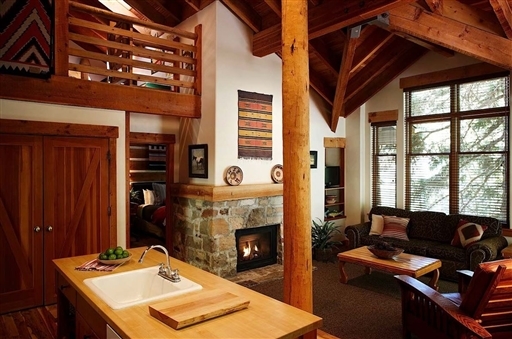 Founded in 1969 by Robert Redford this resort located in Sundance Utah was inspired by nature and will give you and your family a relaxing nature filled experience. 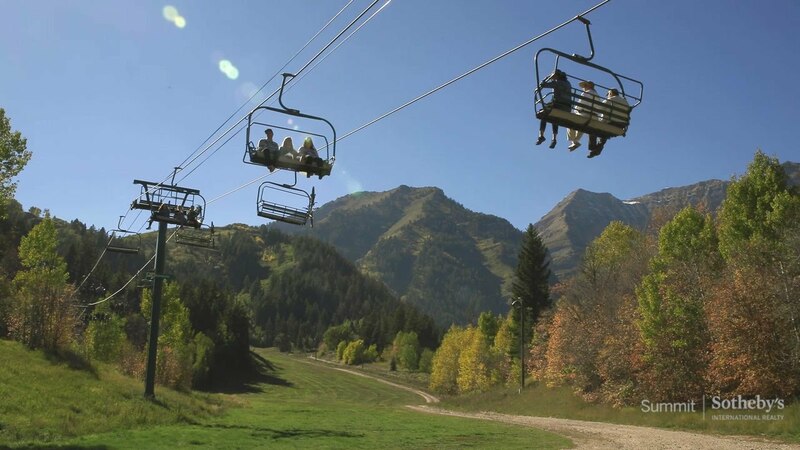 With four season of high octane fun your days spent, ziplining, hiking or skiing will be well spent. Come back to your luxurious digs for a farm to table seasonal mountain meal. In the winter you can ski at the 12,000 foot Mt. 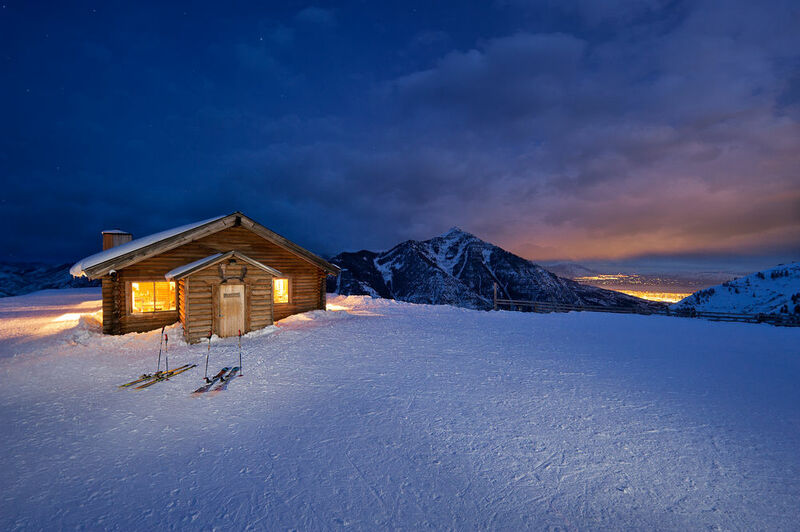 Timpanogos which has over 45 runs or spend the day Nordic skiing, snowboarding or zip lining through the snow filled backdrop. Summer days can be spent mountain biking, hiking, fly fishing and horseback riding through the mountains. You can even participate in their Night Owl program to lean about local owl species or take a guided history and ecology tour. Although this hotel is not off grid but they do purchase all of their electricity from renewable sources making them 100% carbon neutral. The resort even has its own glass works kiln as recycling glass in Utah can be especially challenging. 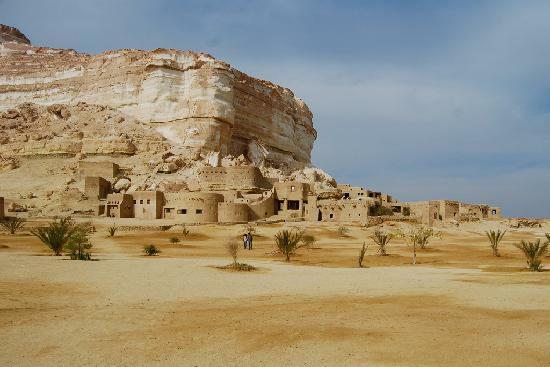 This hotel has eight houses and is situated deep in the desert outside Cairo at the Siwa Oasis. 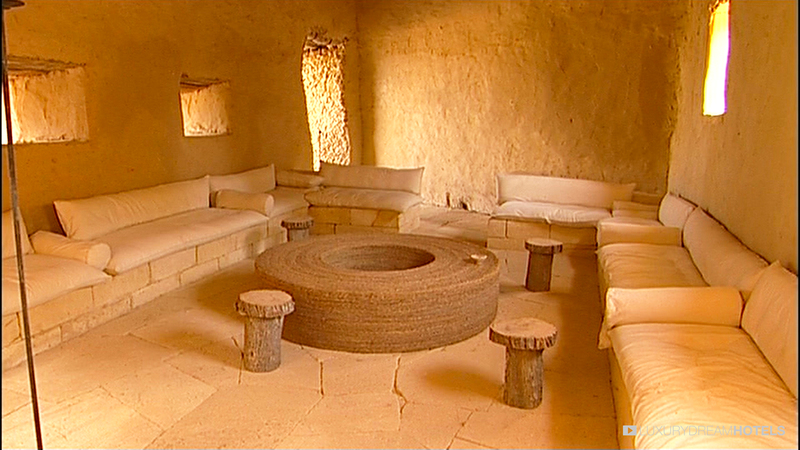 It blends perfectly into the sand and rock and is built with traditional materials. 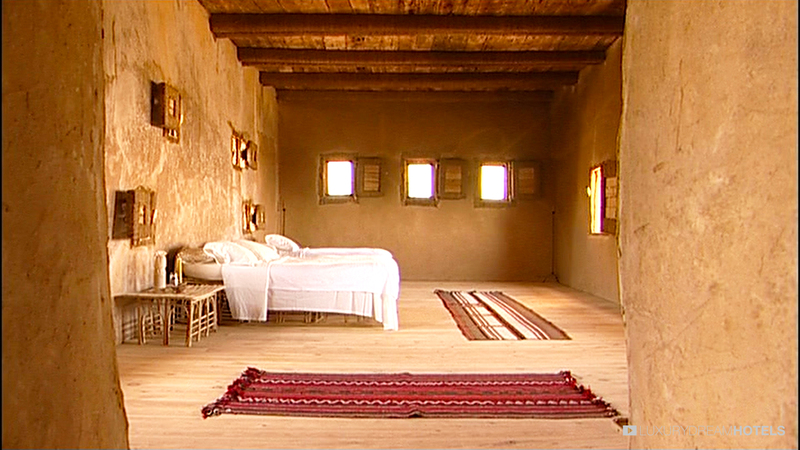 With no electricity and no cell phones permitted outside your room you will be in perfect harmony with nature. Best time to visit is between November and March when cooler temperatures will make staying in the Sahara Desert sans AC more pleasant. Torches, candles and an infinite amount of stars will illuminate your nights here while old braziers warm the cool evenings. 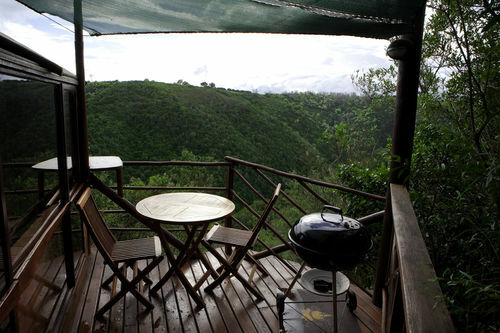 The Macaw Lodge Rests among the hills of the Cerros de Turrubares. 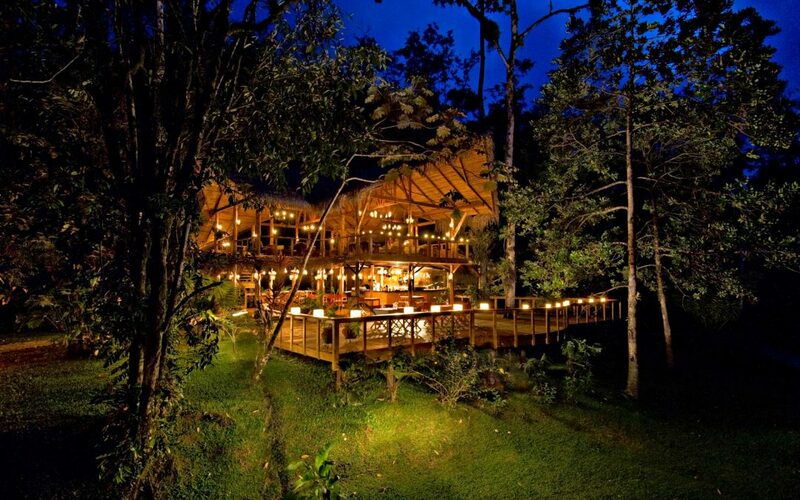 This eco resort, in the central pacific region of Costa Rica is a bird watchers paradise. A sanctuary for the Scarlet Macaw has been created on their 264 acre property which is surrounded by a lush botanical garden. Learn how to identify different bird species on an early morning bird walk or work on your flexibility at one of their yoga workshops in an open air studio. 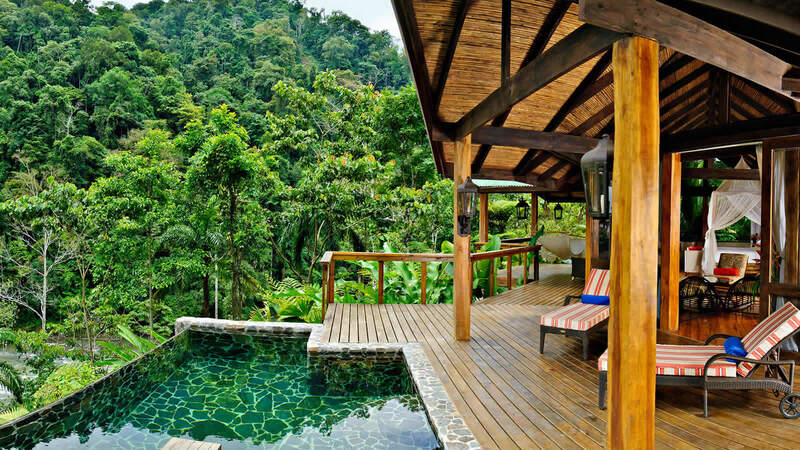 Take a dip in a nearby waterfall or tour the Cocoa farm and indulge is some fresh fruit and cocoa. You can even enjoy fresh fruit and vegetables from their on-site sustainable farm. Enjoy delicious meals with their diverse farm to table cuisine. The lodge is run completely by solar power, so you can enjoy your time their knowing that you are protecting the natural habitat. 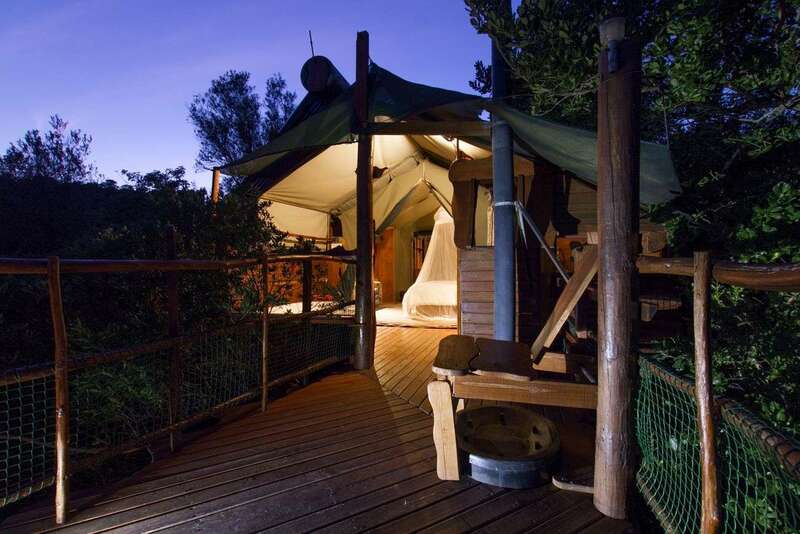 Located on two private islands in the middle of the Zambezi river the Islands of Siankaba Resort is situated between the seventh natural wonder of the world- Victoria Falls and the Chobe National Park. If you want to escape the crowds this is the perfect escape with just 7 luxurious chalets. They get all their power from hydropower minimizing their impact on the environment. They have also built suspension bridges to connect their properties giving it a quirky appearance while protecting the forest floor. 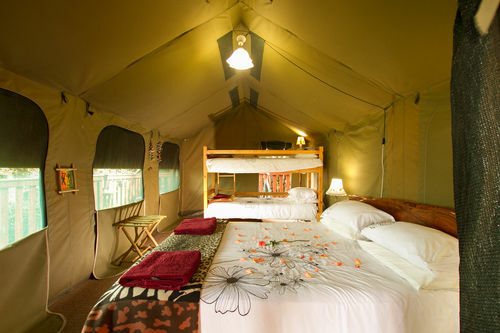 Included in your stay is a tour of Victoria Falls, sunset cruise down the river, fishing, guided tour of Siankaba Village by foot or mountain bike and a picnic island lunch. You can even let your adrenaline soar while visiting Siankaba with a Rhino Walk, Helicopter flight over the falls or a death defying visit to the Gorge swing. The resort even has an on-site spa, swimming pool, farm to table restaurant and stone terrace with fire pit which will be greatly enjoyed with some South African wine after a long day. 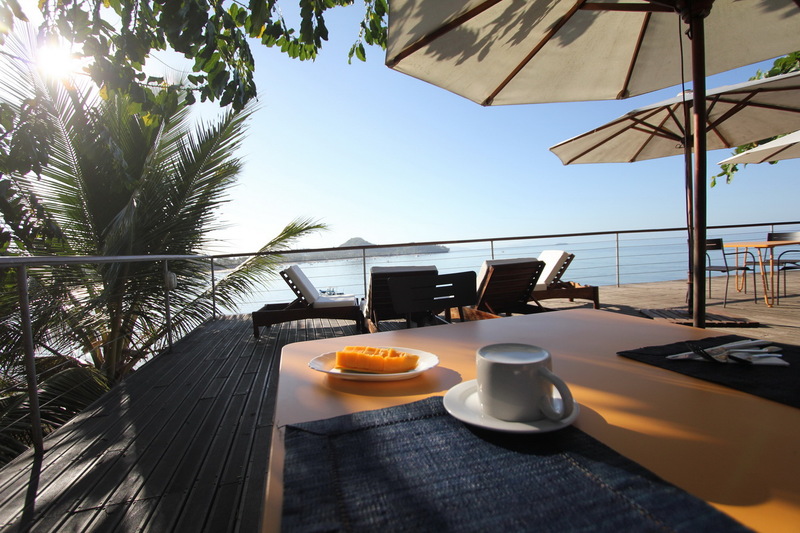 Located on the island of Nosy Be off the coast of Northwest Madagascar this hotel with just 8 luxury lodges and 10 waterfront bungalows will feel luxurious and private. Diving from the beaches of this resort will surely refresh you in the warm Indian Ocean, or you can relax in one of their two pools. Take an excursion into the forest, scuba dive in the nearby reef or have a relaxing massage in their huts overlooking the bay. The waters around Nosy Be are also a great place to spot Omura’s whale which are one of the least known species of Whale in the world. Run on solar power this hotel also plants one tree for every guest and was built with local materials. It is best to visit in their winter from May- September for cooler and drier conditions.